Excellent book for all food and cooking lovers :) And I am the one too! The book has all it suppose to have, it's simple, it has good and easy-to-do recipes and many variations of basic meals. 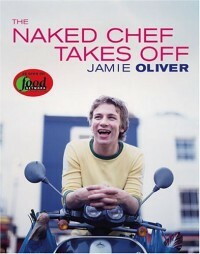 Don't worry Jamie Oliver is not naked in this book!! The notion 'naked' is referred to food and recipes which are pulled to pieces in order to make them as simple, quick and tasty as possible. And his casual style of writing and speaking is also an asset. It feels as if he was in my kitchen and guide me what to do. The food that comes out of the kitchen with Oliver's help is always delicious and to die for. So if you like his tv show you need to buy this book. If somehow you haven't seen him on a tv, you need to buy this book anyway.